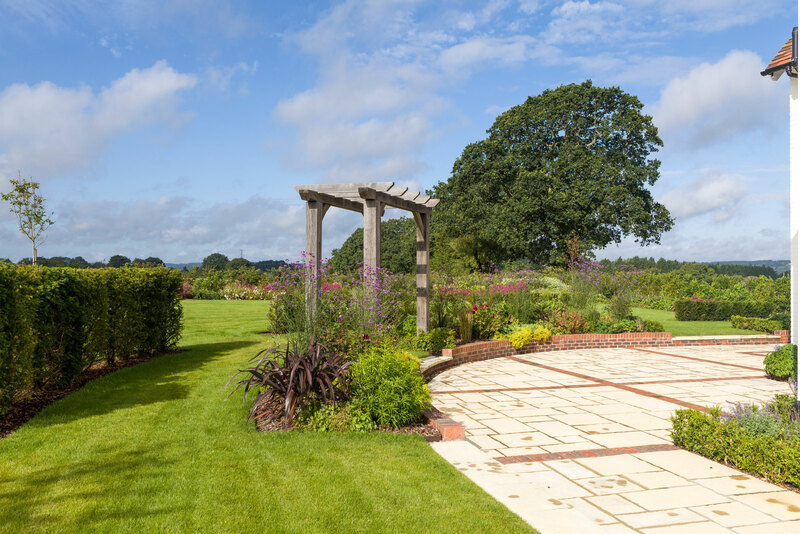 I was asked to create a garden from what was basically a muddy field surrounding a house which was being completely renovated. 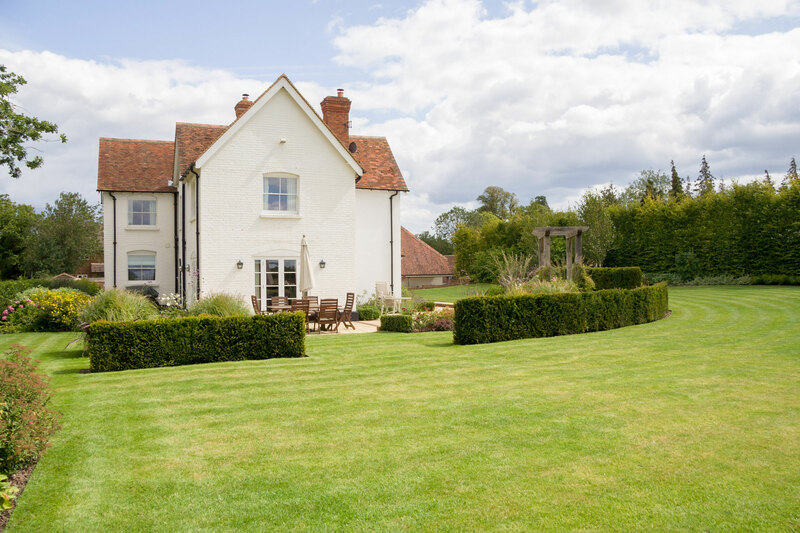 This house sits within an extensive farm estate near Alton in Hampshire, and was to be rented out as a high quality family home. 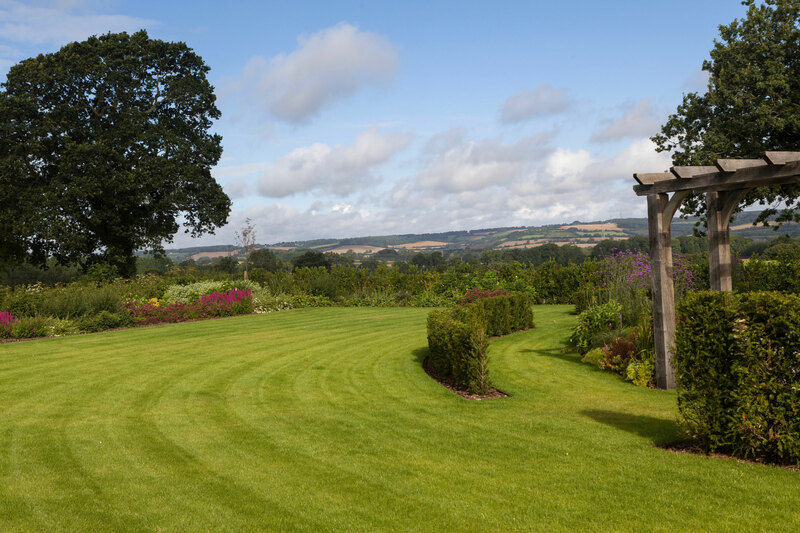 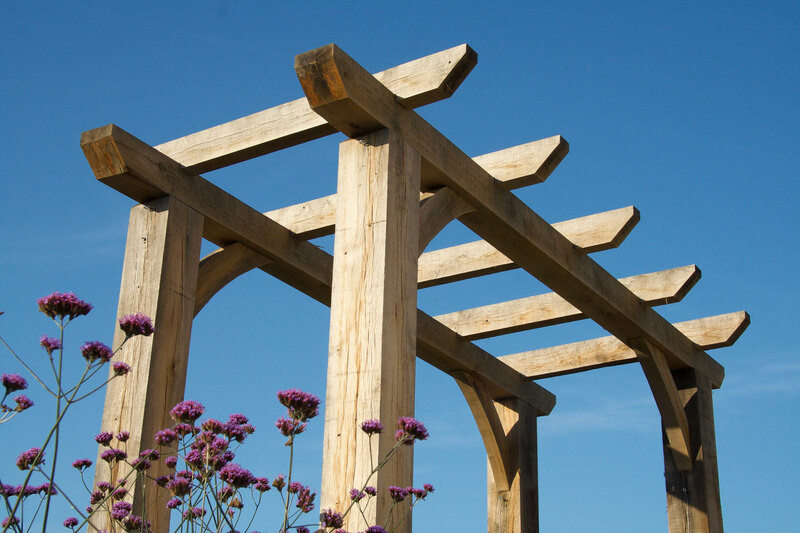 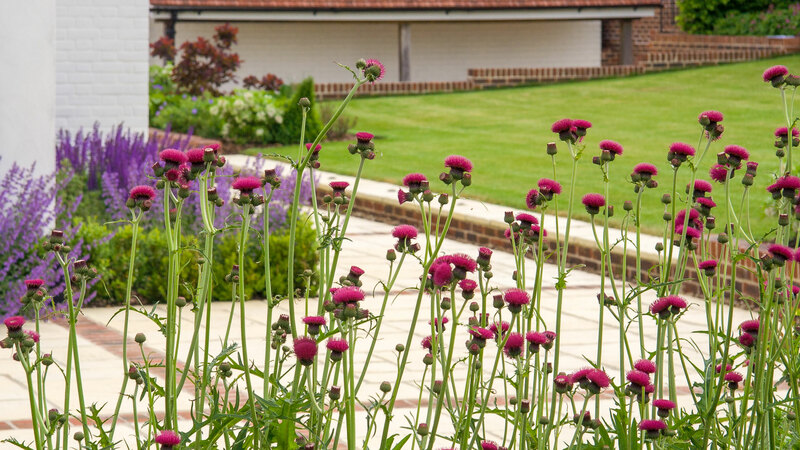 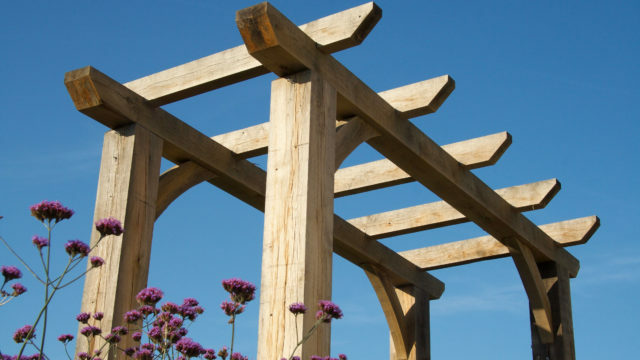 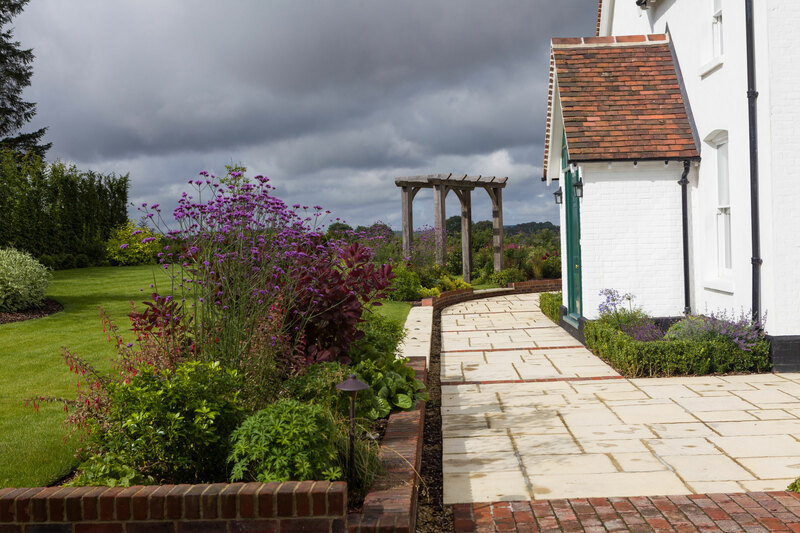 My brief was to create a garden which would be easy to maintain and provide an attractive setting for the house, with features such as a large space for outdoor entertaining, an extensive car parking area, electric entrance gates and also garden lighting. 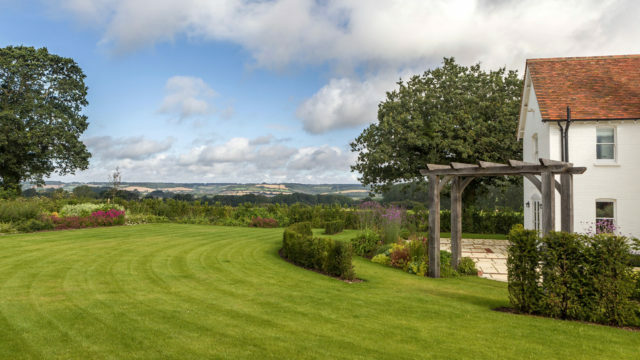 Planting was chosen to cope with the windy site, offering strategic screening but without detracting from the views of the countryside beyond. 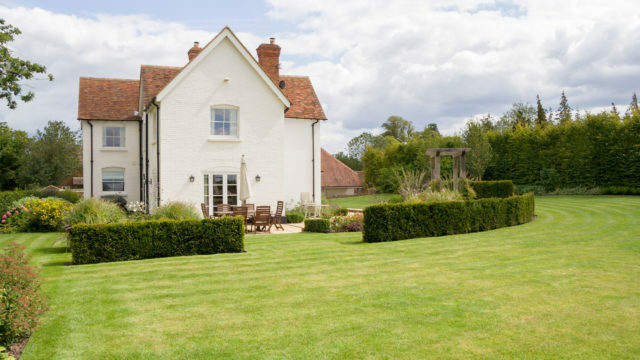 Farm buildings were located at the rear of the property so trees and mature hedging were planted to hide these from view. 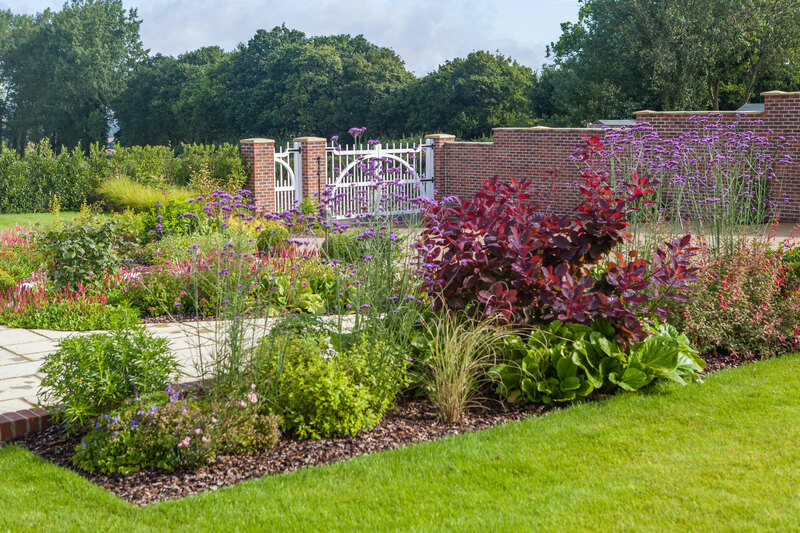 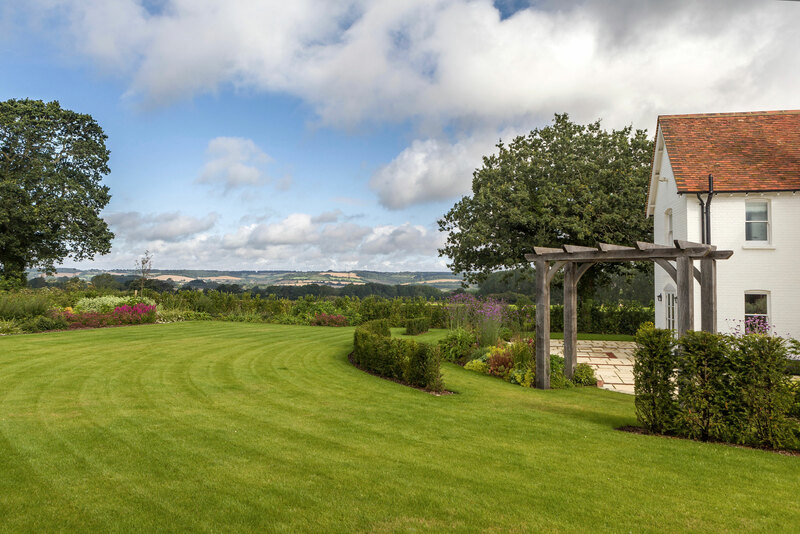 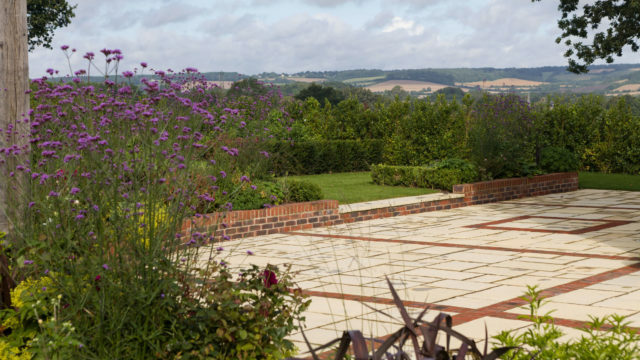 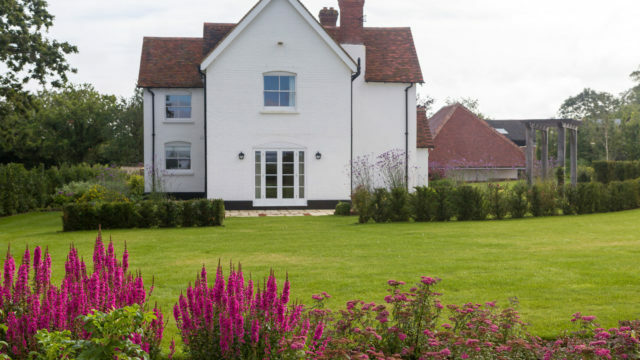 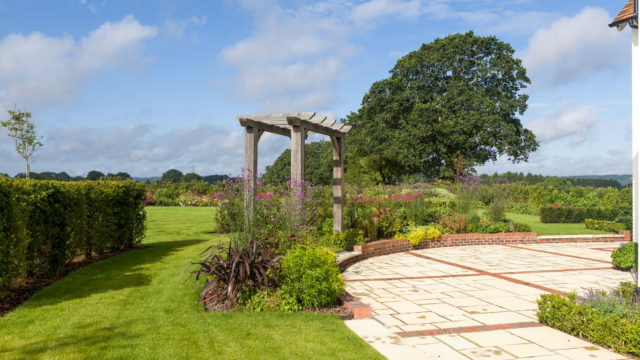 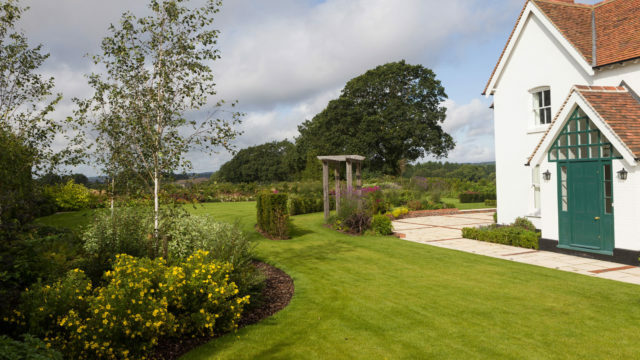 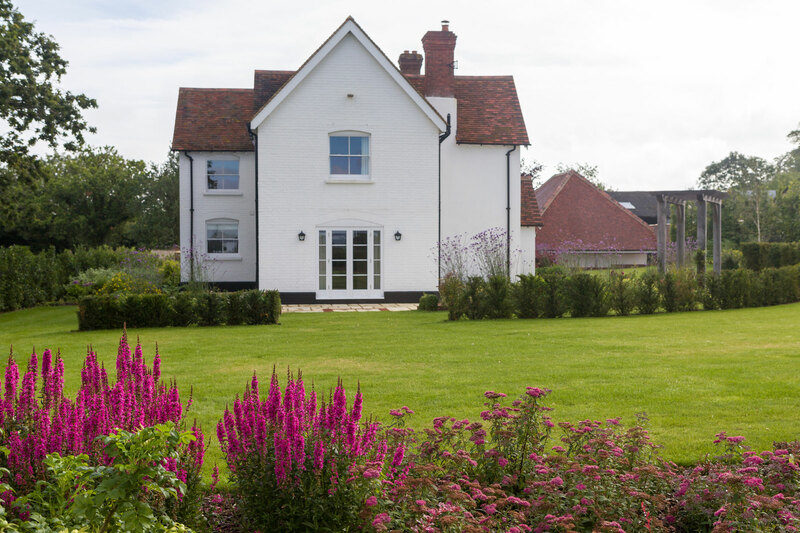 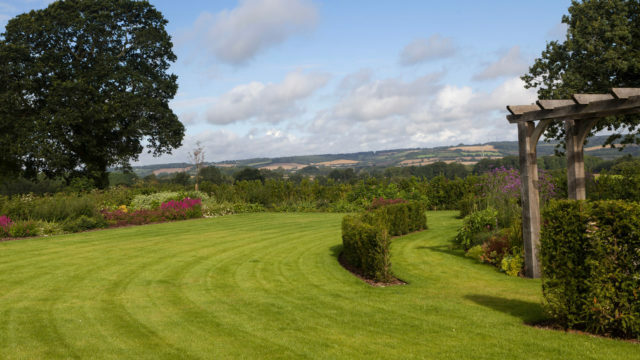 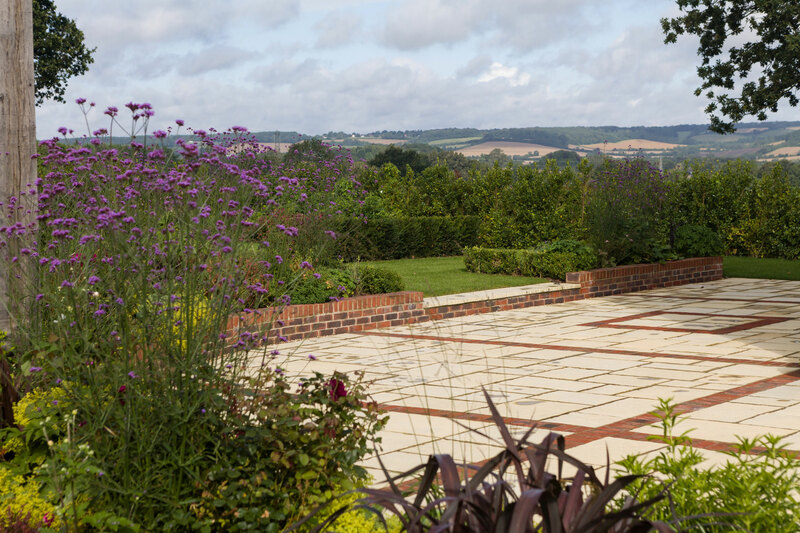 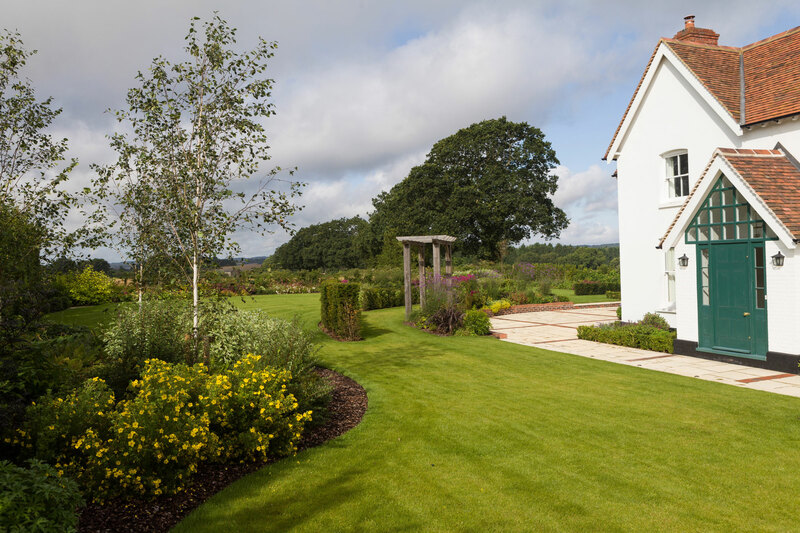 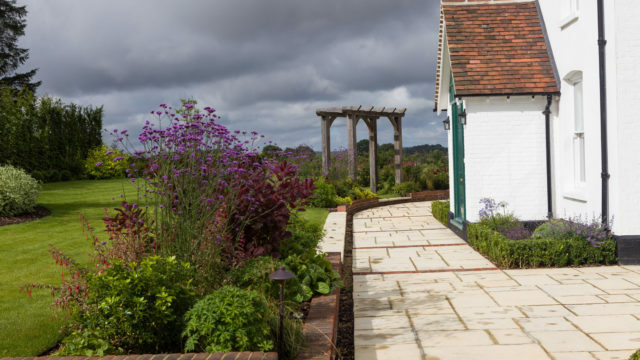 This project took place over a period of 2 years and involved liaising with clients, the farm estate manager, the project manager and builders, as well as contractors who I introduced to the team to carry out the soft landscaping aspect of the work. 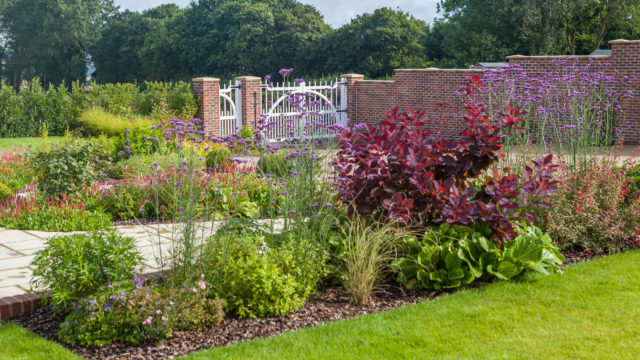 You can see this project from start to finish by watching the video below.